A week before the official “Black Panther” album releases, Kendrick Lamar and The Weeknd join forces and drop a new track titled “Pray For Me”. The album soundtrack will feature TDE and also has some top name features from the rap industry. This song is just a teaser into what the album has to offer for us. A lot of people have been talking about how many songs Kendrick has on this album, as he has collaborated on many of them. This song is one to remember and definitely check out as they both mesh their rap and r&b sounds to create a masterpiece over a old school beat. Kendrick drops some bars about social injustices and it raises the questions as to whether the rest of the soundtrack from the Black Panther will have a similar social undertone to it. Either way we are very excited to hear the rest of the album over here at The Rap Up. Rapper Kendrick Lamar took home 5 grammys last weekend for best rap album for Damn, best rap song for “Humble”, best rap performance for “Humble”, best rap/sung performance “Loyalty” and lastly best music video for “Humble”. Kendrick Lamar was also nominated for record of the year and album of the year. This was a momentous weekend for Lamar who now totals 12 grammys. Kendrick Lamar’s success at the Grammys can be attributed largely to his album Damn that released earlier this year in April. 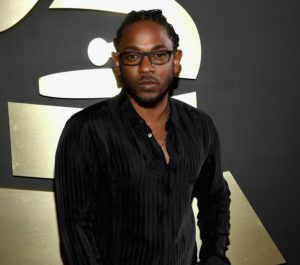 Kendrick Lamar’s win was not without controversy however as some believe that he was snubbed for best rap album and that his music video “Humble should not have beat Jay-Z’s “Story of OJ” for best music video. Whether or not he was truly snubbed is up for debate but we at The Rap Up are happy that K Dot’s rap career continues to flourish! Kid Cudi was our rapper of the week this week. We talked about how his music really grew with us over high school. The hit songs “Pursuit of Happiness” and “Day’n’Night” that everyone listened to, even if they weren’t into rap music. Though he had a couple albums that we didn’t think were too great “Passion Pain and Demon Slayin” was an album that was a comeback of sorts for Cudi. His battles with depression and the lyrics he uses are powerful and personal which helps us root for him in a kind of way. We’re excited to see what he does next, especially now that he’s working with Kanye West and Travis Scott.